Keep your kids learning through the summer! No student remembers every single thing she learns in school. Even over the course of a school day, many things will go in a child’s ear and out the other. And as any parent who is active in the educational process knows, kids are wildly inconsistent with their learning. They learn some things with little effort, while other things require endless repetition and instruction. In any case, it is only natural for some of the things a child learns during the school year to be lost during those three to four summer months. Much that is lost will be reiterated in subsequent school years, but other lost knowledge might go away and never come back if the information is not kept fresh. That is where parents come in. You are not required to essentially give your child summer school. Summer is supposed to be a time for children to play and experience the world. But there are things you can do to make sure what your child has learned does not go away. And in the process, you can also help them learn new things. 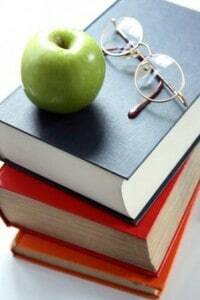 The last thing your child is going to want to do during the summer is read the types of books used in school curriculums, but there is nothing wrong with encouraging your child to read widely and often, and even to read some books intended to be educational. While books read in the summer will not necessarily pertain directly to the subjects your child covered during the school year, well-chosen books will build upon your child’s existing knowledge and internalize it in the process. The best practice for encouraging this sort of summer reading is to make it an everyday routine. Just as you probably had a homework routine during the school year, in the summer you can set a time in the evening that is devoted solely to books and other learning activities. You can even take the weekends off, if that routine works well for you. Another way to build on your child’s previous school year is to engage in outdoor activities that related directly to things your child has learned in the past year. But you do not have to worry about having an exact correspondence between school learning and summer learning. Just try to engage in things that your child will enjoy while also learning things. Wilderness hikes and visits to the zoo are perfect examples. Over time, it is only natural for the collection of books you have at home to become boring, and your child will reach a point when they are no longer learning from those books. That is why it is a good idea to visit the library regularly, both for reading time at the library and to check out books to read at home. Though technology is changing the way young people engage with books, libraries are still warm and welcoming places where children can be exposed to a wide variety of subjects and imaginary worlds. During the summer, also make sure to sign your child up for activities. Physical activities such as sports are very healthy and productive, and children actually learn a lot from them, but you can also take classes, go to one-time events, and take your child to day camp (and of course, there are also sleepaway camps for children who are old enough). As long as your child remains active and continues engaging in new learning activities, he or she will continue making educational leaps forward during these important months. Guest article provided by Lisa Pecos who contributes regularly to The Parenting Journals. She is a believer in natural medicine, and thinks that gripe water is an essential item for any new parent. I do this every summer, but this year we have been less structured. Yesterday my son casually mentioned the Mona Lisa and we spent a long time after that talking about famous paintings and sculptures. We went online and looked at the more familiar paintings. He likes The Scream because it reminds him of Home Alone and liked Van Gogh’s Starry Night, Starry Night over the Rhone and Sunflowers. He ended up making a list of his favorites to put on the refrigerator, and used Crayons to draw his version of some of Van Gogh’s work. This is something I would not have thought to plan, it was spontaneous and we both enjoyed it.